Grande Moagens d’Angola is one of the country’s major players in the wheat industry. 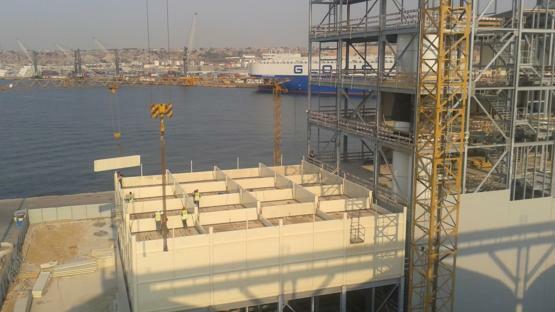 For its installation in the port of Luanda, GMA needed a reliable partner to design and construct an efficient flour mill building with a capacity of 1.200 tons per day – one of the largest production plants on the African continent. 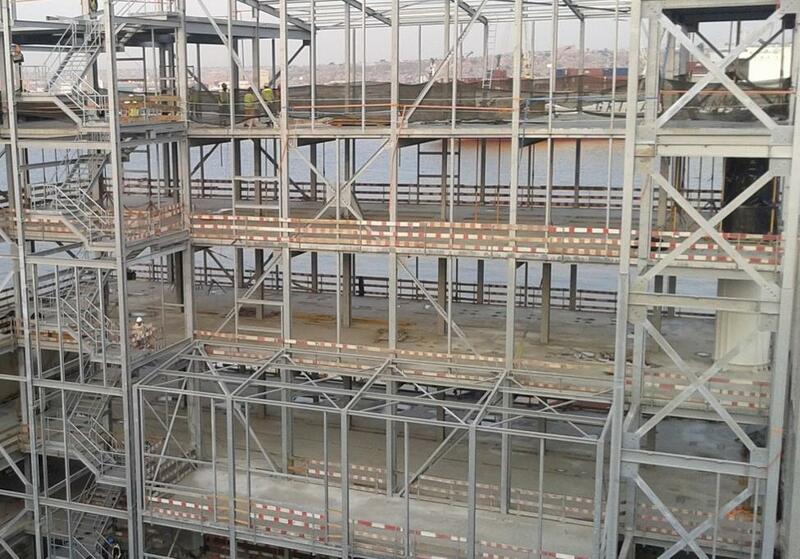 SCE was in charge of the engineering of the building, in close cooperation with GMA’s project team and machine supplier. We built a galvanized steel construction and square silos for storing the raw wheat and finished products. Sandwich cladding was provided for a perfect finish of the entire building. The complete installation only took 8 months. GMA relied on SCE due to our numerous high-quality projects worldwide. 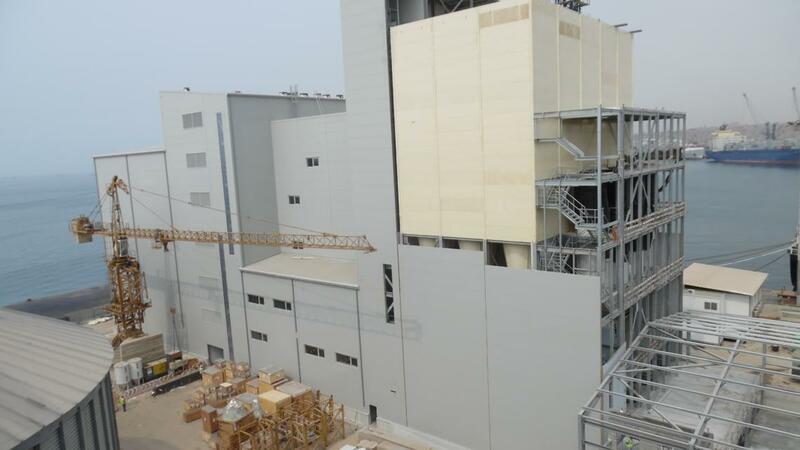 Other companies also recommended them to work with us for this kind of flour mill units. The customer had the fullest confidence in our expert team and in our solid financial balance. 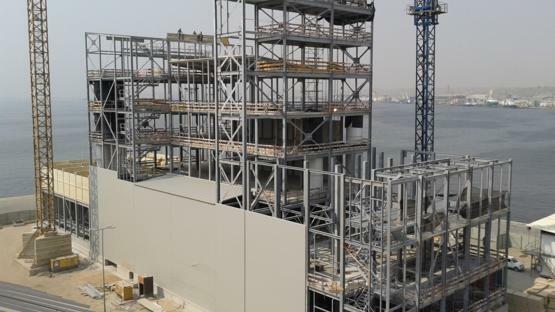 Although the overall building structure is made out of steel, SCE integrated a composite floor decking on all floor levels. This concrete floor is not only taking the high dynamics loads, it also provides GMA with a sustainable hygienic floor. After the installation of the milling machines the floor was treated with a seamless epoxy coating, ensuring an easy housekeeping.